Illus. in black-and-white. 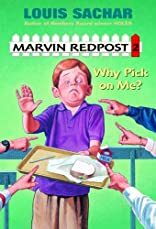 Marvin is shunned by his classmates, best friends, and teacher after he is unfairly fingered as a nose-picker by the class bully.